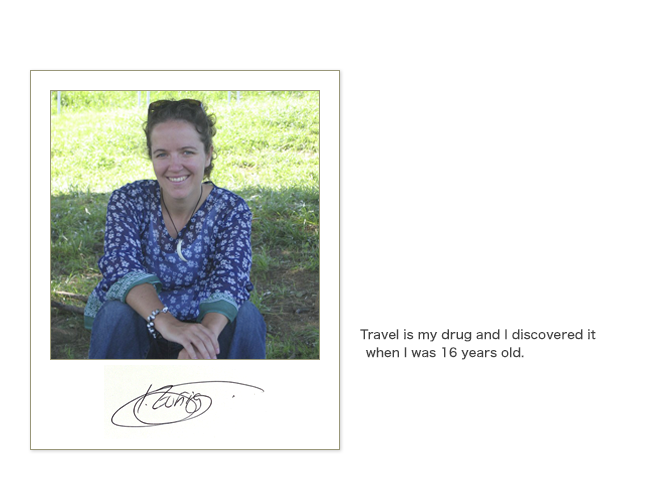 Travel is my drug and I discovered it when I was 16 years old. Travel is my drug, and I discovered it when I was 16 years old. 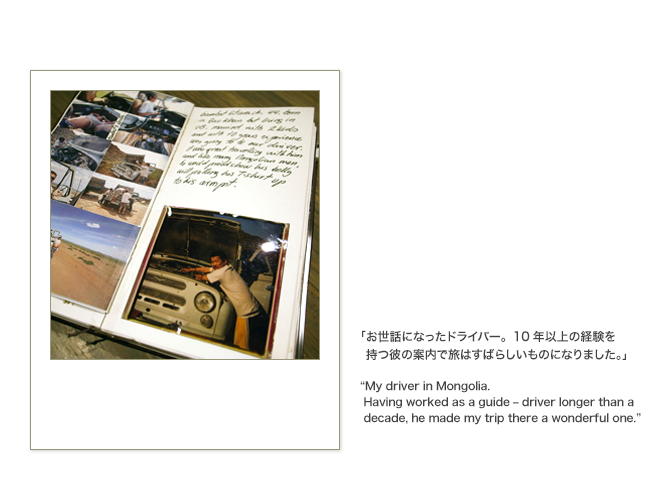 At the age of 16, I had my first travel alone. Ever since then, traveling has been part of my life. Although I do have some sightseeing, as common tourists do, at the places I visit, what I find most interesting is experiencing the place’s culture and people. 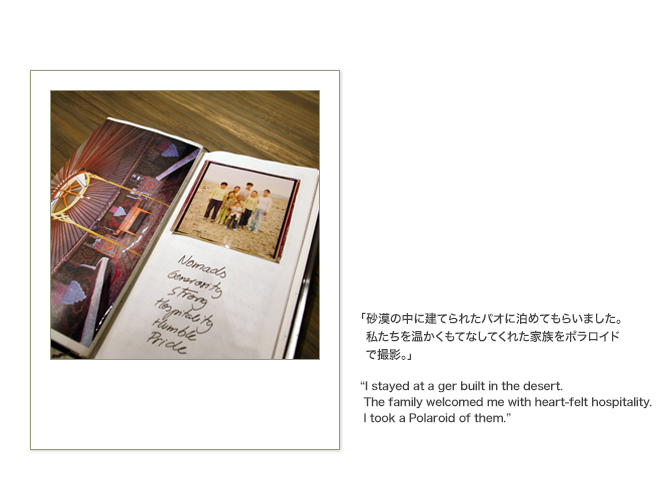 I wanted to keep memories of the sights and people I met, as well as all the excitement and emotional experiences I had. 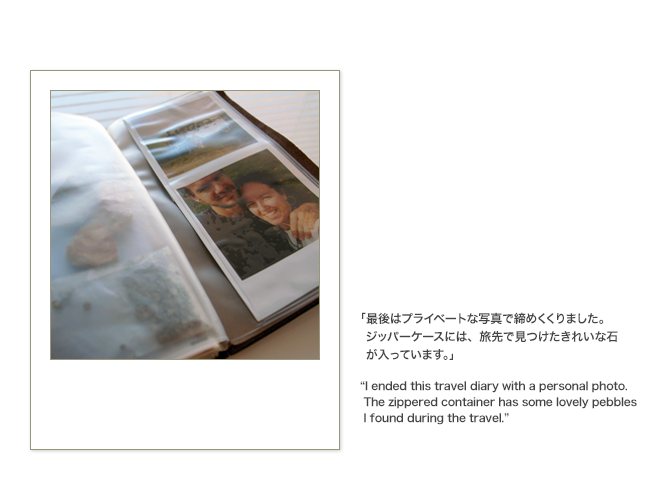 So, I began writing a travel diary. 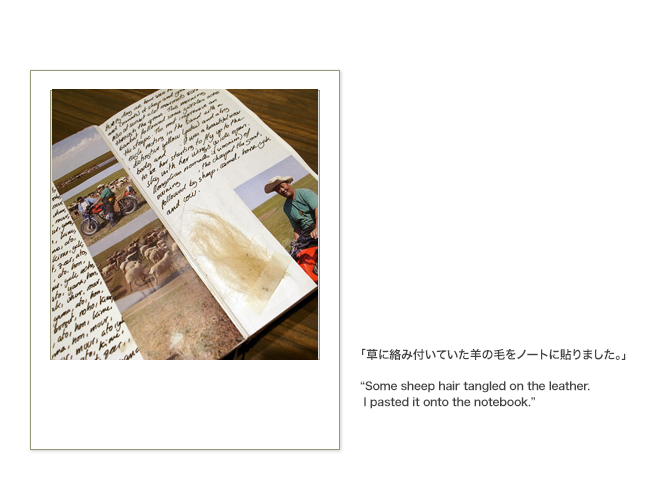 Whenever I go traveling, I take my camera and TRAVELER’S notebook with me. 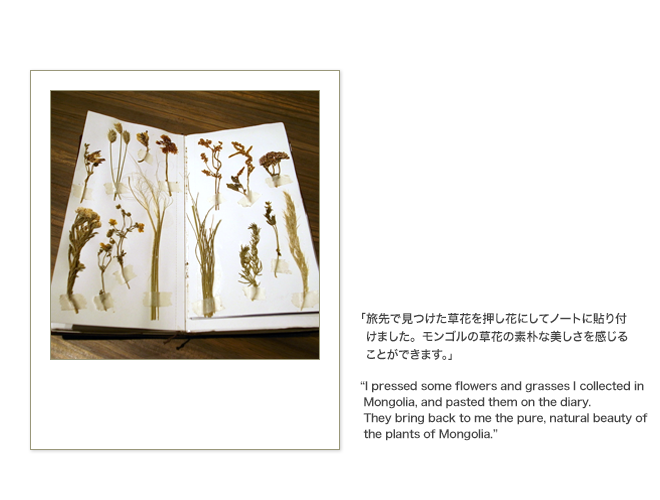 While I am on a trip, I just quickly jot down things I did and felt in the notebook. 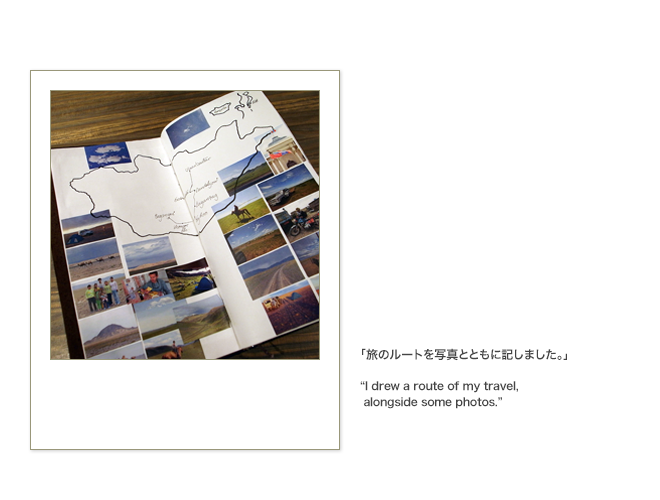 Rather, I take photos of scenes, people, etc., I like, so that I can spend most of my time enjoying the trip. Also, inside the zippered container of my TRAVELER’S, I keep small objects I find on the trip – Polaroids, tickets, labels, receipts, pressed flowers, sand, pebbles, shells, etc. 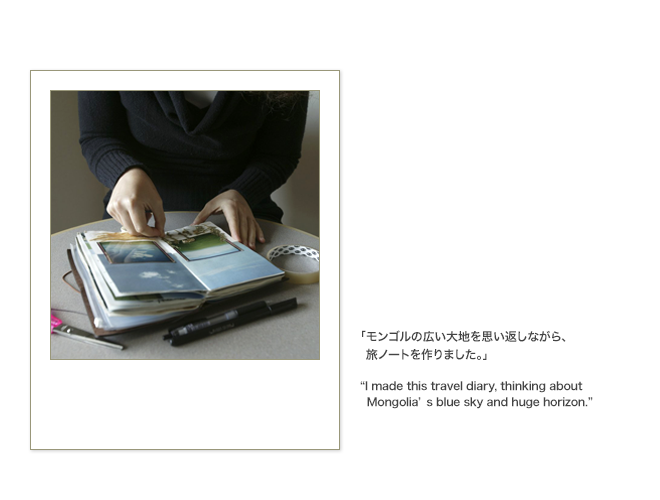 Then, after I come home, I work on the travel diary again to make it complete. 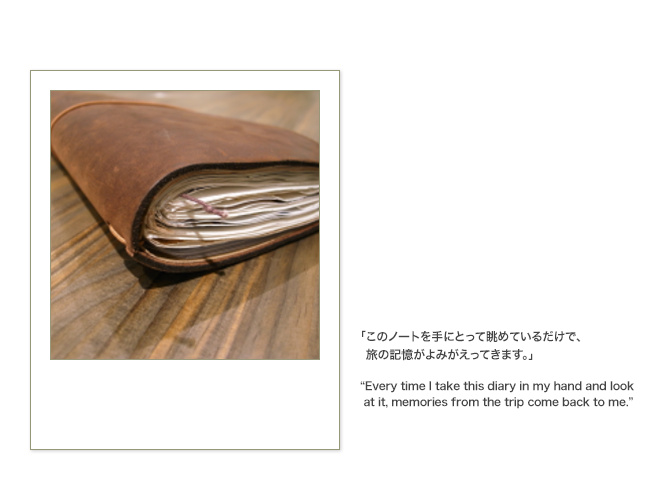 In the notebook, I paste some photos I print out from a printer, some Polaroids, receipts from my shopping on the trip, and so on, and then write down my feelings about each thing I pasted. Also, I paste some flowers, grasses, sand, etc., I kept in the zippered container. 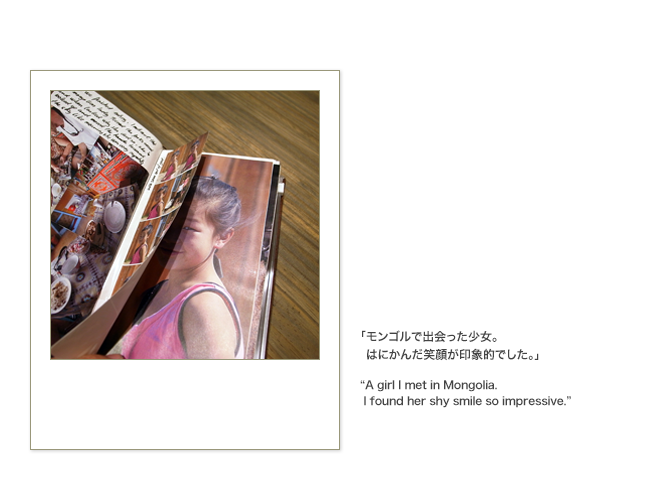 After some time, when I read my travel diary, my feelings from the trip come back to me, as many times as I want them to. 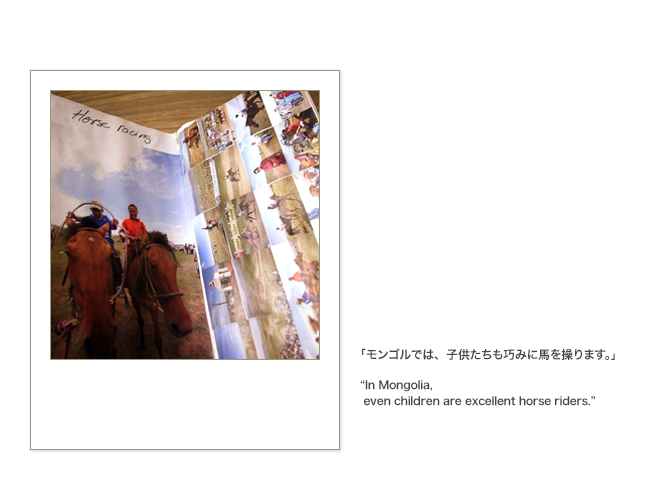 This time, I traveled to Mongolia. 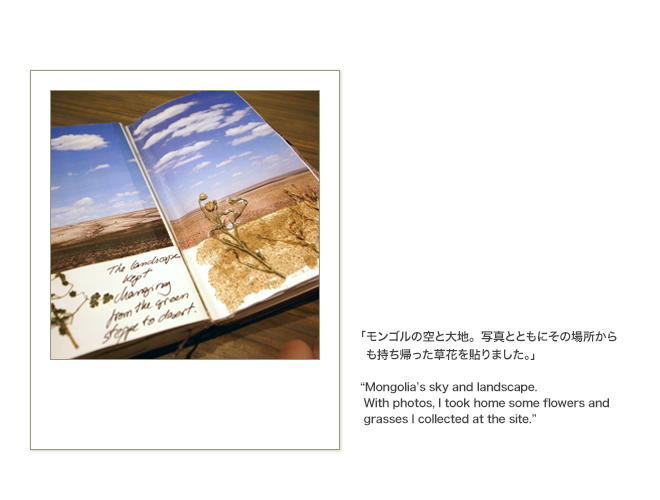 I made this travel diary, thinking about the country’s blue sky and huge horizon. Born in Spain, in 1978. After graduating from the EFFC School of Photography, majored in photography at the University of Westminster, London. 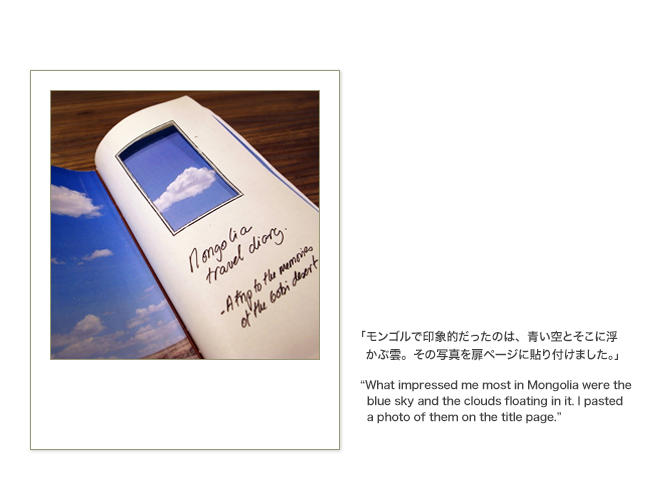 For two years or so beginning in 2000, joined in some NGO activities in the Bahamas and France. From 2002 to 2005, worked as a freelance photographer for Spanish travel magazines, while teaching at the University of Barcelona. 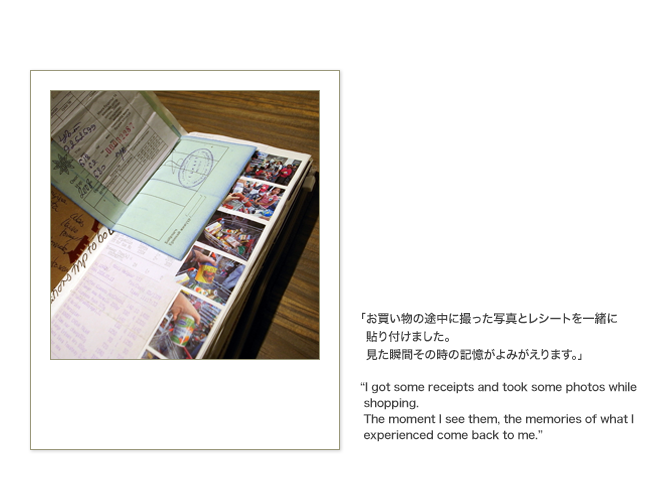 Lived in Tokyo from 2005 to 2009. Currently living in India, working as a freelance photographer.